The Kentucky Department of Agriculture (KDA) just announced that Kentucky will again have Sivanto Prime available for use on sweet sorghum to fight sugarcane aphid (Figure 1). This is good news as this insecticide is so effective and the sugarcane aphid is so damaging to this crop. 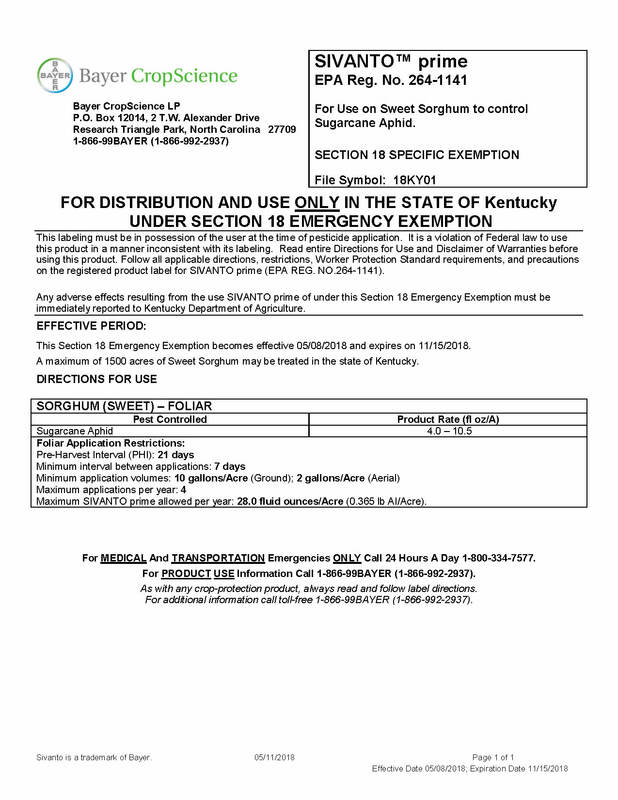 This marks the third year that the emergency use of this material has been secured for Kentucky. Last year, sugarcane aphid was found over the entire state for the first time; however, each year this insect must recolonize the state from southern overwintering areas. There will be an announcement if and when it is detected in Kentucky in 2018. Figure 1. 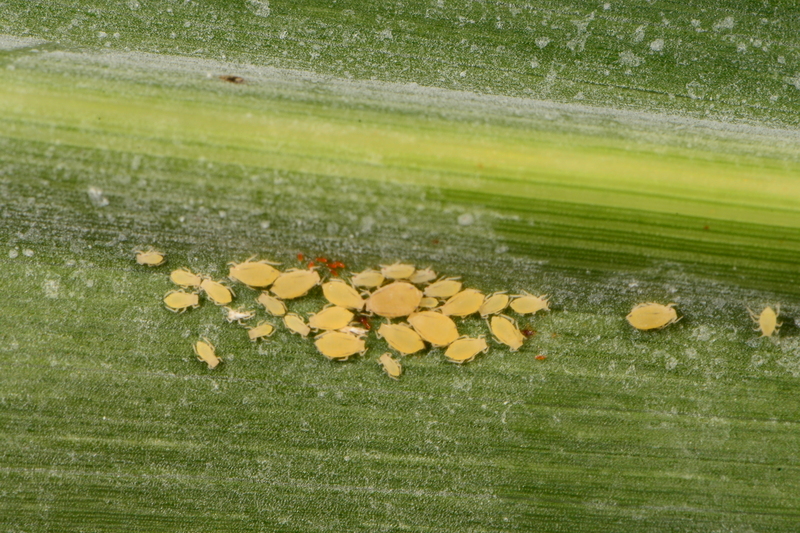 Sugarcane aphid can be recognized by its yellow color and black tips to its antennae, cornicles (‘tailpipes’), and tarsi (‘feet’) (Photo: Ric Bessin, UK). Report the acreage treated to Ric Bessin or the KDA for reporting purposes (this ensures we will be eligible to obtain these exemptions in the future). With this label (Figure 2), a producer may make up to four applications per year. The lower rate is 4 fluid ounces per acre, which was reduced from last year, and the maximum rate is 10.5 fluid ounces. The maximum for the entire year may not exceed 28 fluid ounces per acre. There needs to be at least 7 days between applications and at least 21 days from the last application until harvest. Figure 2. SIVANTO prime label.